A tree for all seasons | Where's my backpack? 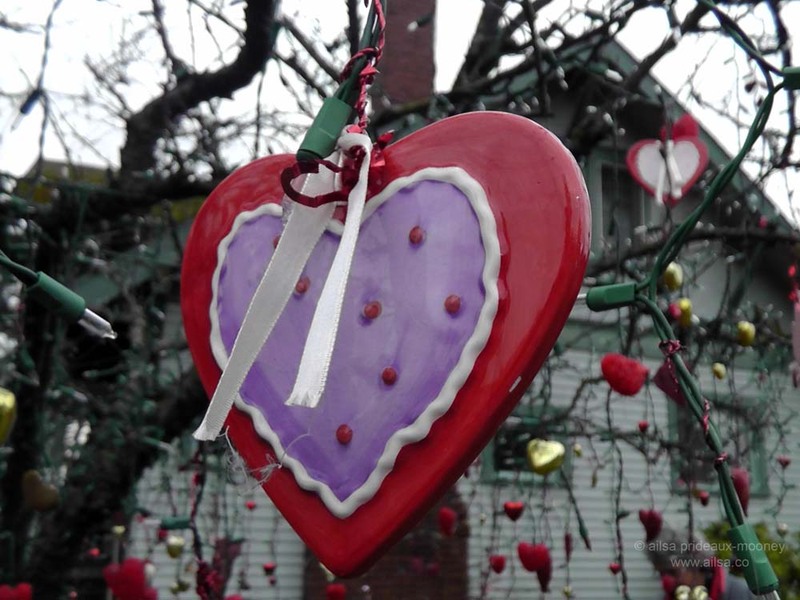 On the corner of 65th and Palatine Avenue North in Seattle‘s Phinney Ridge district, there lies a quaint wooden house with a gnarled old plum tree outside; its branches spreading out and draping down low. This is no ordinary tree. Like other noble trees, it changes with the season, but this tree has expanded the idea and changes with the holidays also. It is known by locals as the Holiday Tree and today my friend Jo whisked me away to take a look at its most recent reincarnation. I couldn’t resist stopping by later in the evening to see the little tree all decked out and lit up with the teeniest tiniest of rosebud lights. That happy and well-loved tree warmed the cockles of my heart, no pun intended. 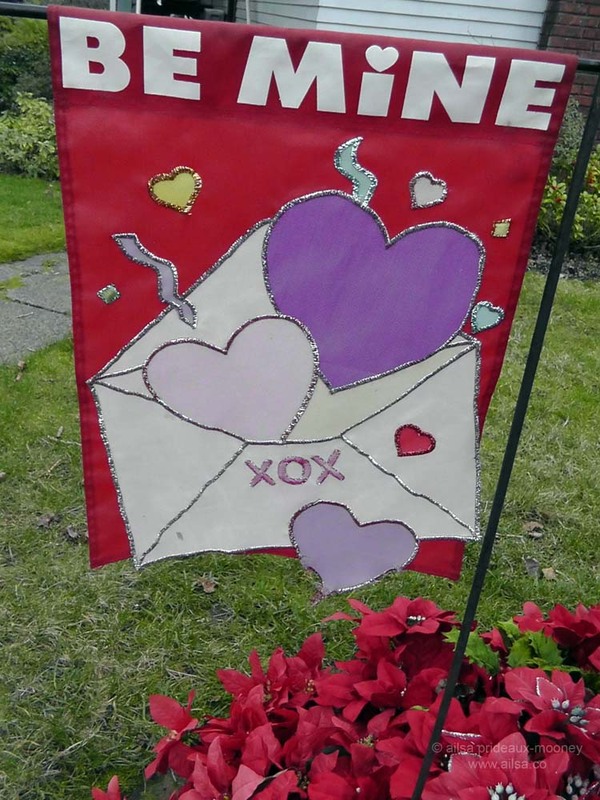 Have you seen any unusual Valentine’s Day decorations in your part of the world? 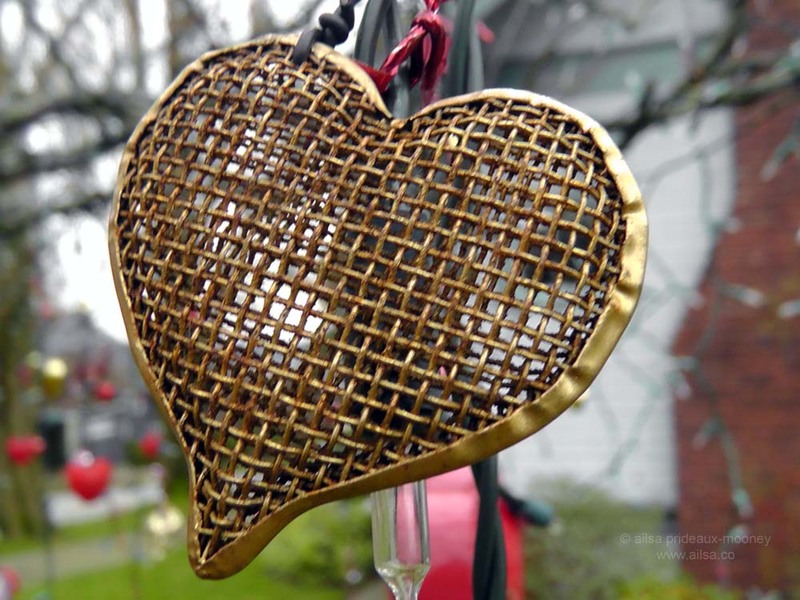 This entry was posted in Photography, Travel, United States, Washington and tagged holiday, holidays, photography, photos, pictures, travel, valentine's day, writing. Bookmark the permalink. This was really special. It’s amazing the trouble some people go to just to make life better for everyone. 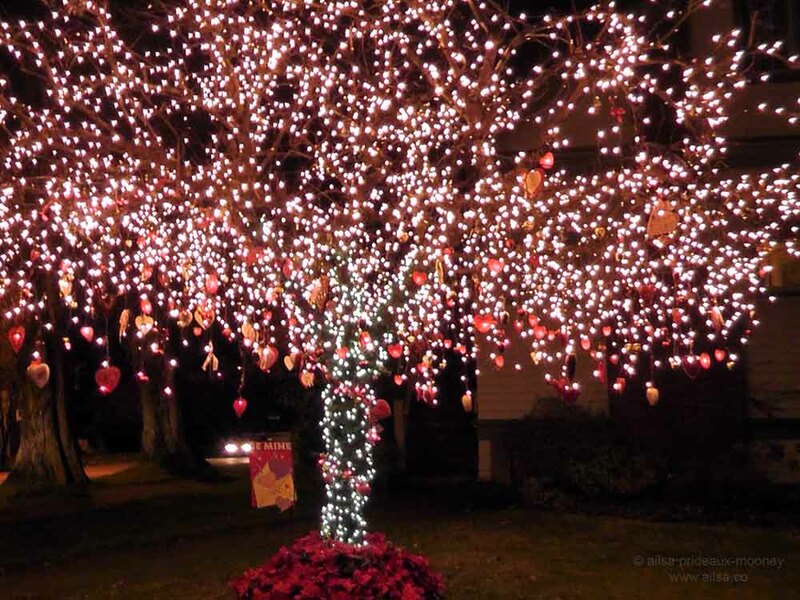 Congratulations to them, and to you Ailsa for putting their tree on your blog! Lovely tree. Amazing to know that the tree survives in all seasons. Nice decorations. There’s something so cheery about it all. I can’t help wondering about the people who live there, how long they’ve been doing it, what made them start and what a sweet sense of community it brings to the neighbourhood. 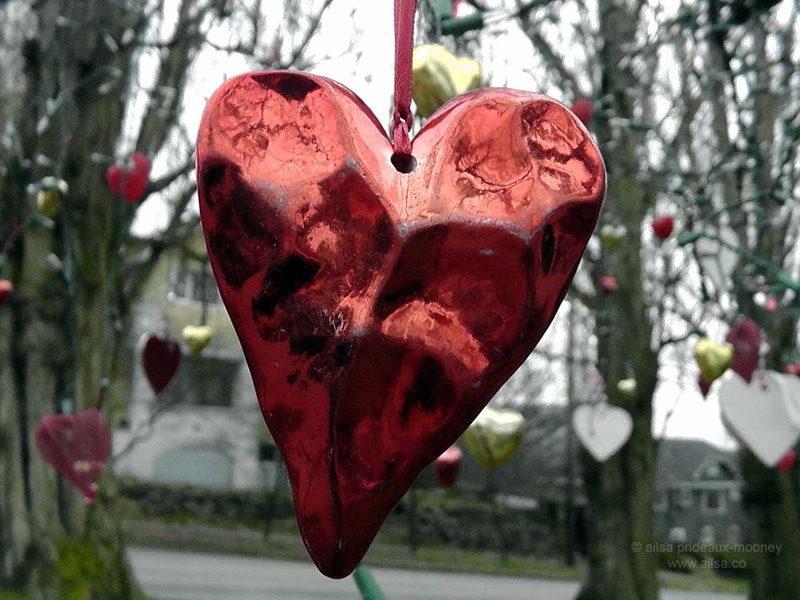 I don’t think anyone decorates their tree for valentines day here…. Never seen anything like it – thanks for giving us such a great peak! 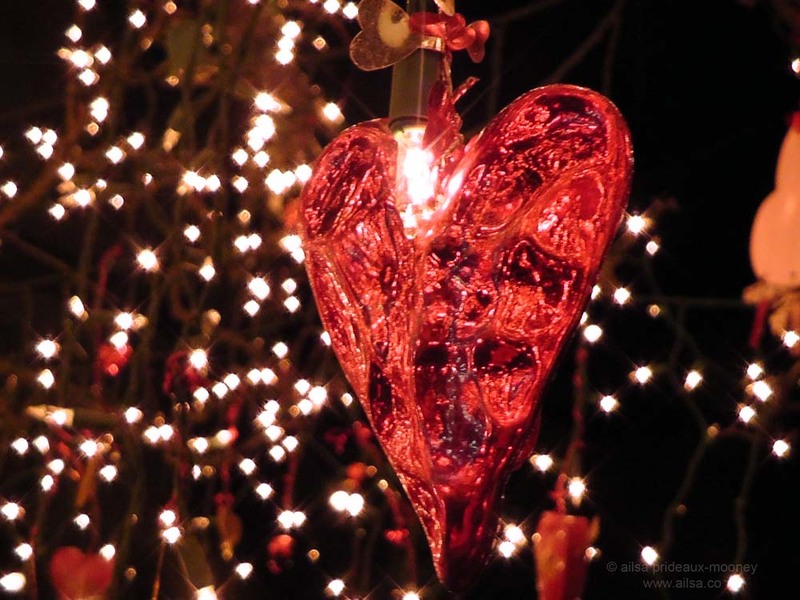 Have a lovely weekend and a wonderful Valentine's Day! I’m with you, Marie. I don’t normally go for this kind of stuff, but it was done with such love that I couldn’t help but adore it. I have this image in my mind of a sweet elderly couple taking great joy in sharing each new holiday that comes around. 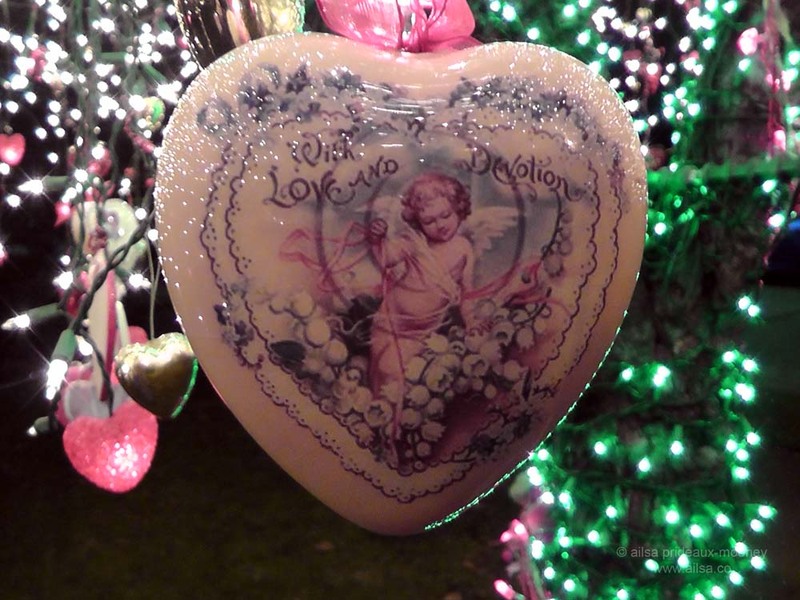 It would be really lovely (pun intended) to hear the story behind the tree decorating. What fun they must have coming up with the different holiday themes. Knock on their door, show them your blog and tell them you have hundreds of fans dying to be introduced to them…!!! Good idea???? What fun! I wish I could do something like that. That is what the world needs now. 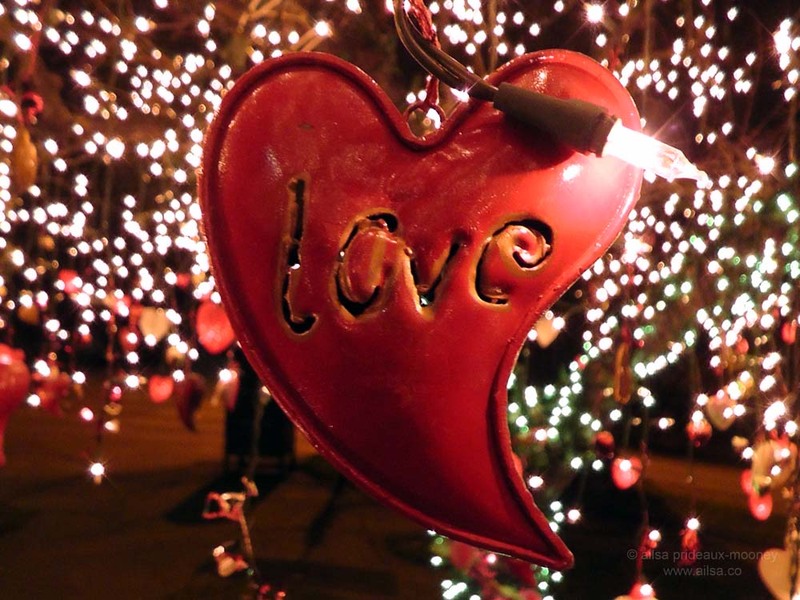 Share and spread the love, why do it only for Christmas? Thanks Ailsa! so sweet and lovely.. i hope you’ll post again a photo of that tree on another beautiful occasion.. I really like the snap you have as your header! 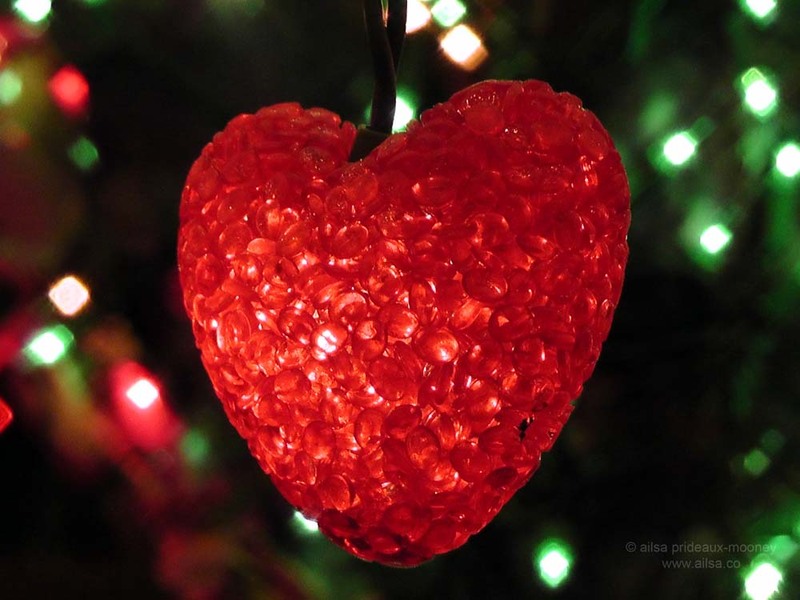 In terms of decor–I will be on a cruise ship this year for St. Valentine’s day so I will let you know. 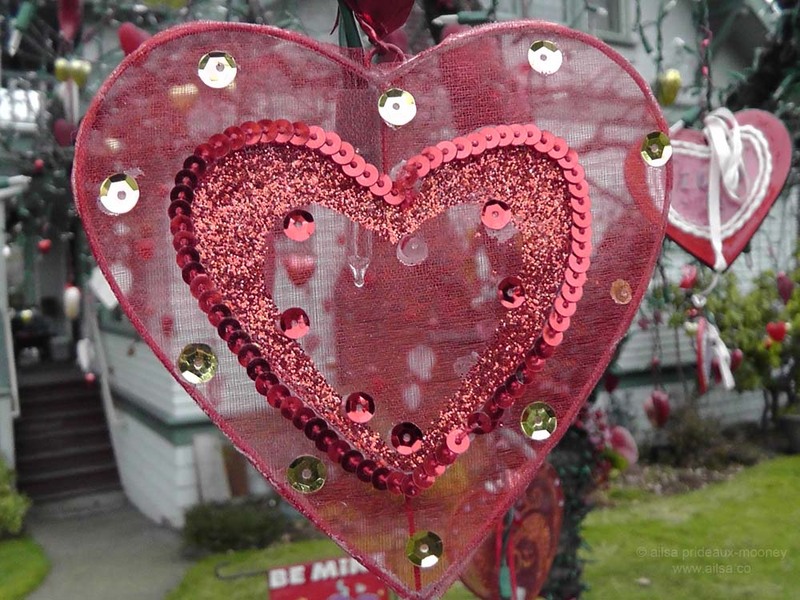 Yes, some people decorate windows and lawns with lights and hearts for Valentine’s Day. St. Patrick’s is the bigger decorating extravaganza. What a lot of love coming out of this house to share with everyone! 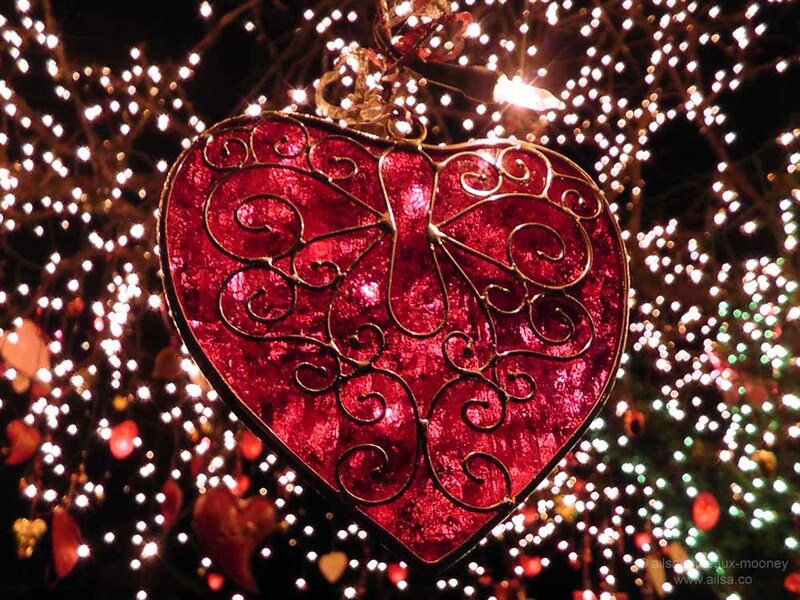 I love the tree with the lights on, I am such a fan of fairy lights! 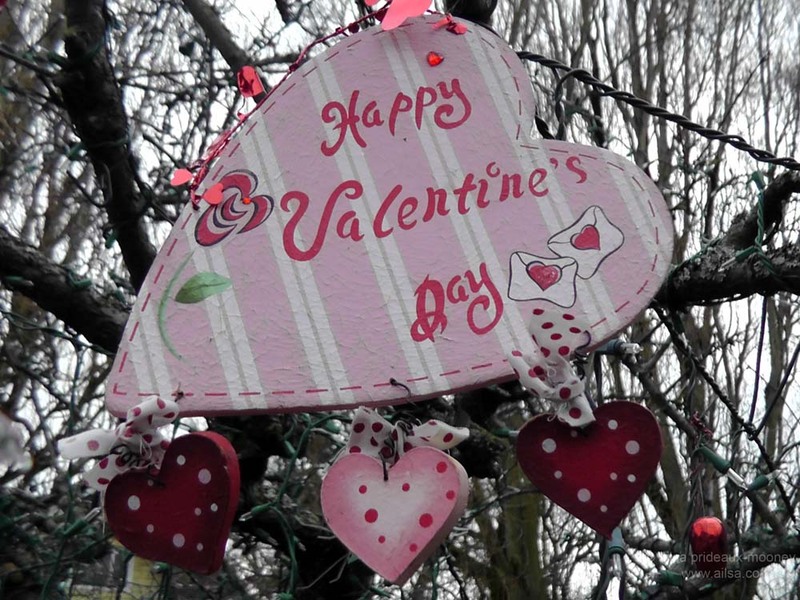 Yes it is, valentina – and what a lovely name, it’s your time of year with Valentine’s Day! I wish someone on my block did this — it would be so cheery to see it. Thanks for sharing today! 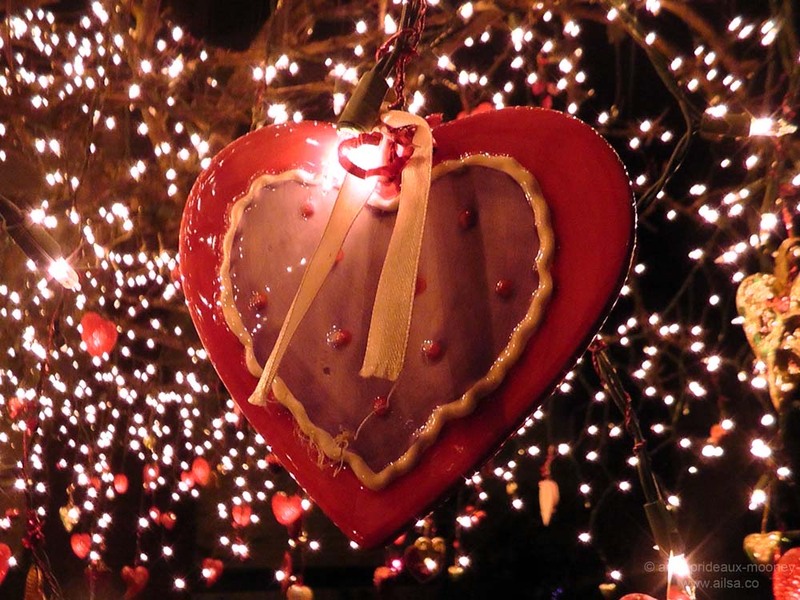 Love the tree – even if I don’t like Valentine’s Day – amazing stuff and your photos are very good and rather pretty (sweet) But I wouldn’t like to be the neighbor to that tree. 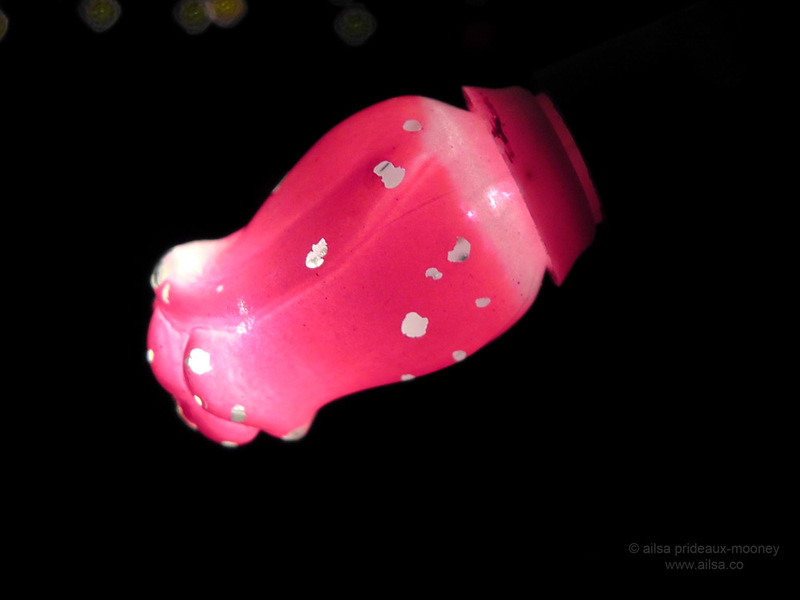 How lovely and romantic especially in the dark! This is beautiful! 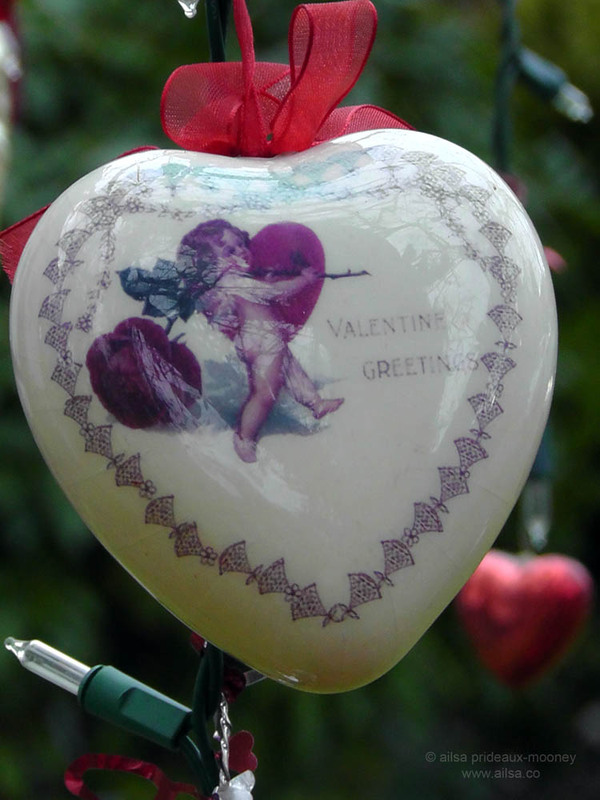 My mom always did a Valentine’s Tree in our house when I was growing up made of a branch with gumdrops stuffed on its ends and paper hearts. I really like this larger, outdoor, live version. Thanks for putting this up! Valentines day, Valentines day, what am I going to get my wife for valentines day? thanks for stopping by my blog and liking it! This is very Seattle, I think. I’ve been a here a year now, and more and more I’m seeing the culture. I can’t put it into words yet, but this being in Seattle does not surprise me at all. Nice photos! This is so special! 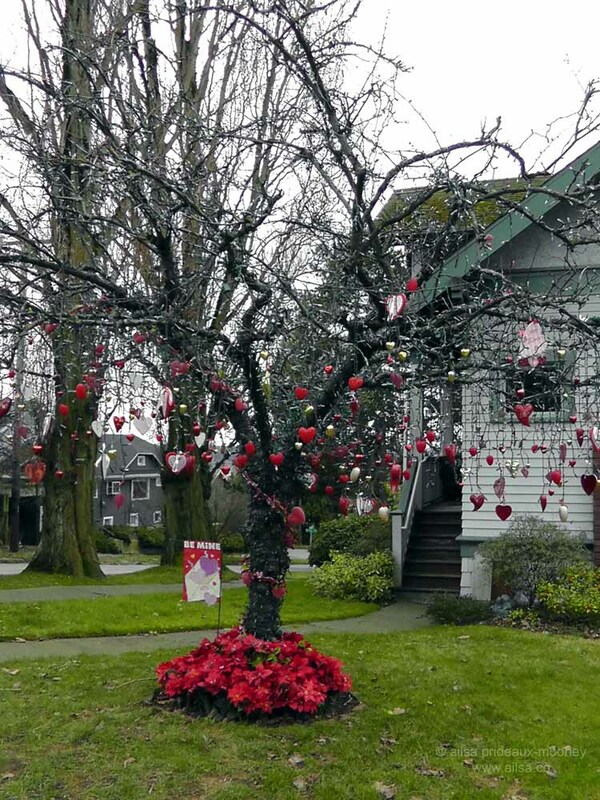 I’m so glad you found it and so fortunate that you posted about it — this is the first time I’ve ever seen an outdoor tree decked-out for Valentine’s Day, and it is wonderful! What wonderful images-this must have been great fun to photograph! That is really pretty. Lots of Love! This is a beautiful sight and such a lovely idea!